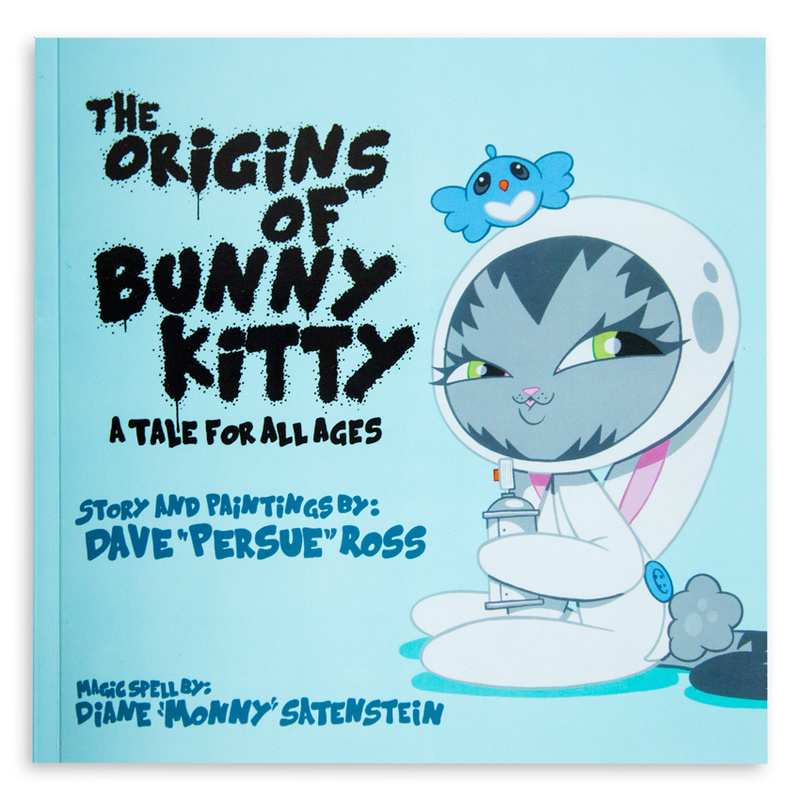 Check out the story of BunnyKitty in the video below and help us bring Dave "Persue" Ross' BunnyKitty to life by supporting at the IndieGoGo campaign here! 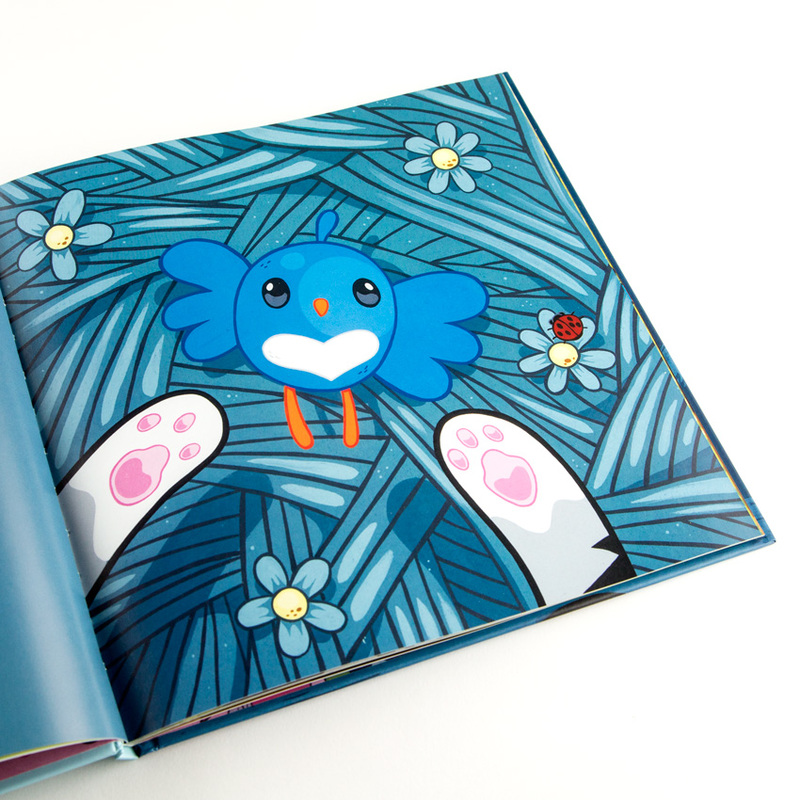 We've completed the design and layout of the book and plush toy, but we need you to help us bring this illustrated children's book to life! 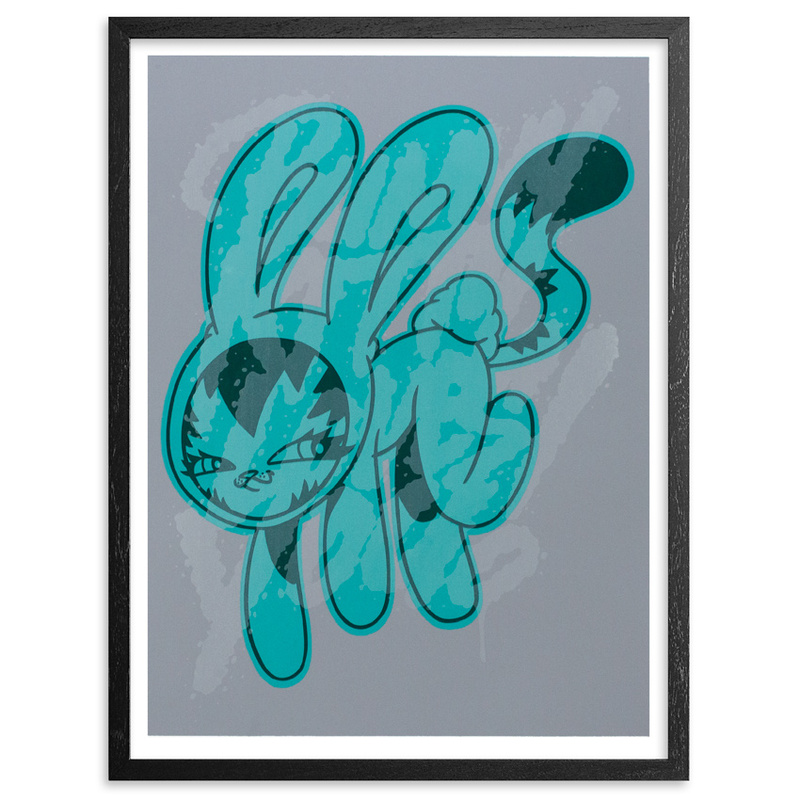 Recently Persue headed over to IndieGoGo to knock out a quick BunnyKitty mural check out the new video below! NOTE: This RUN does not come signed or numbered. 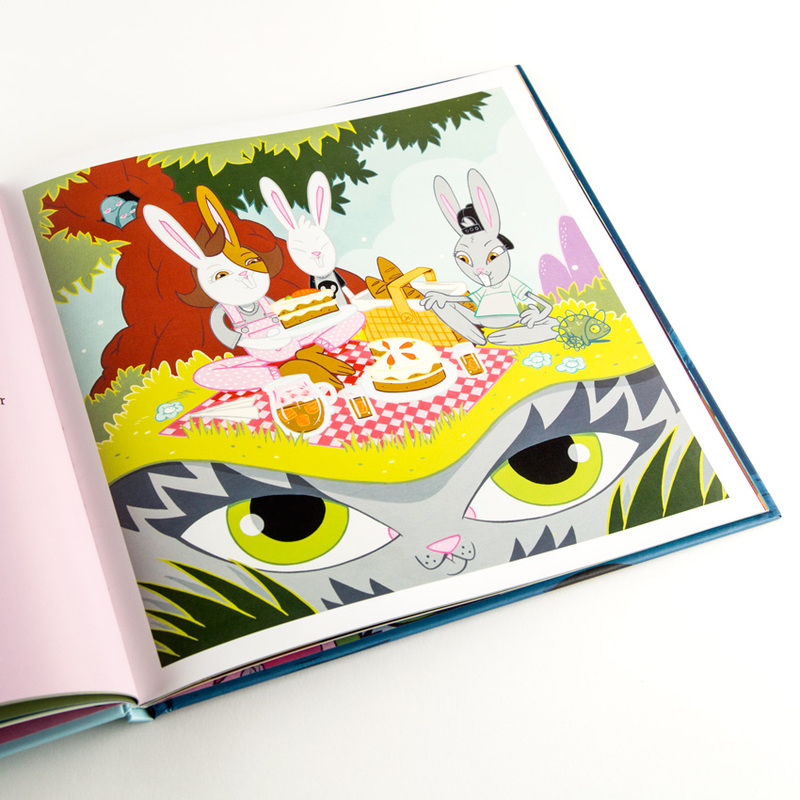 Enter the magical world of Bunny Kitty! 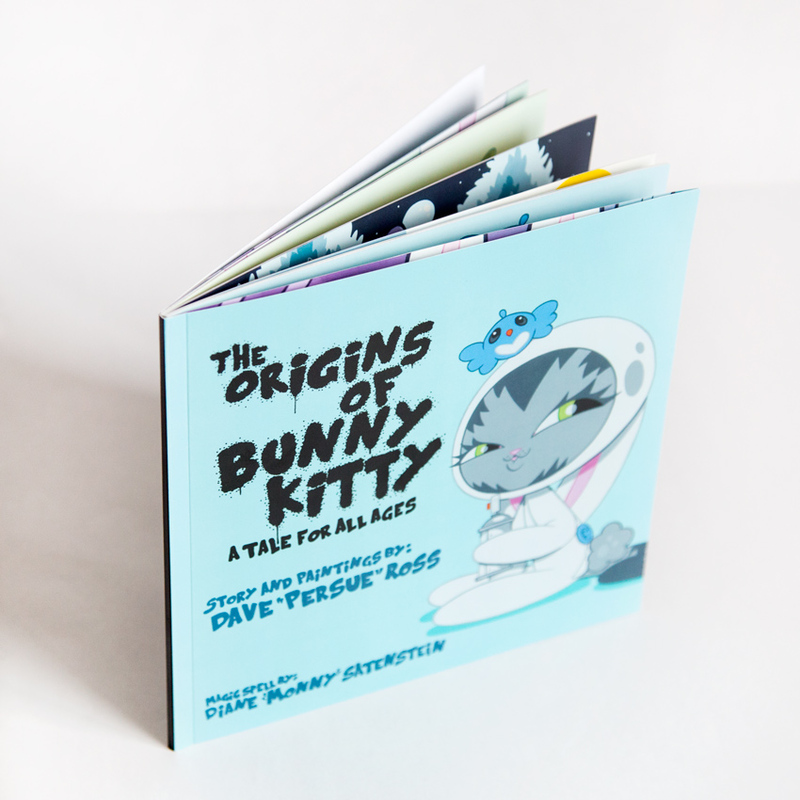 The first book in a brand new kids’ series, The Origins of Bunny Kitty begins the adventures of Daisy the cat, also known as Bunny Kitty. Accidentally left behind when her family moves from the country to the big city, Daisy is taken in by an adoptive family of rabbits whose mother lovingly sews her a bunny suit so that she can feel more at home — but sadly, Daisy still misses her mother and brothers. When she meets a bunny fairy that recognizes her courage and independence, she is given a spell that transforms her into the magical Bunny Kitty, and Daisy sets off in search of her lost family. 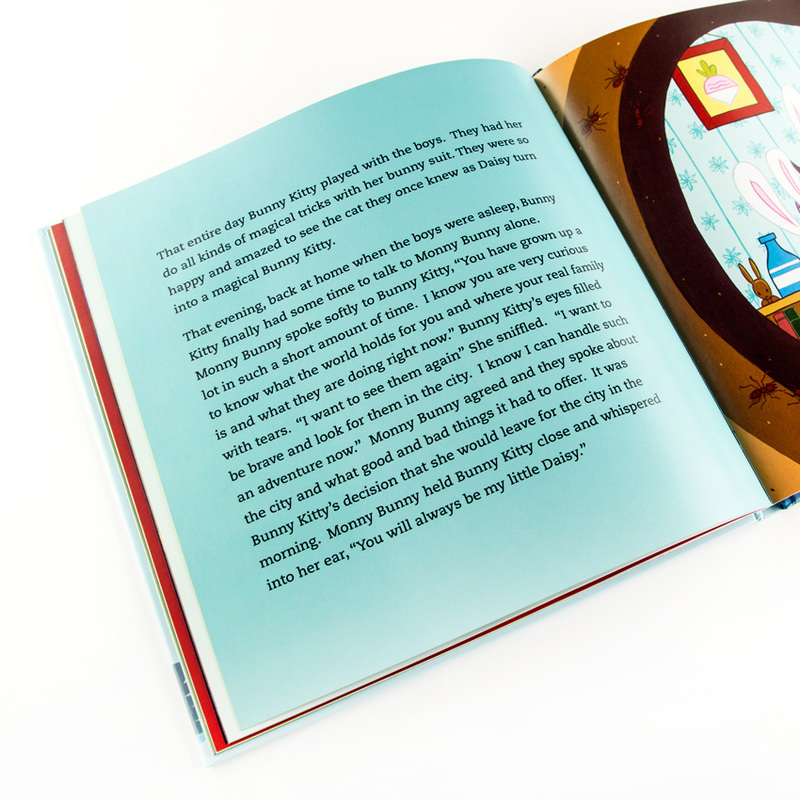 Charmingly told with wonderfully vibrant illustrations, this is a sweet tale of how sometimes everyone needs a little help. 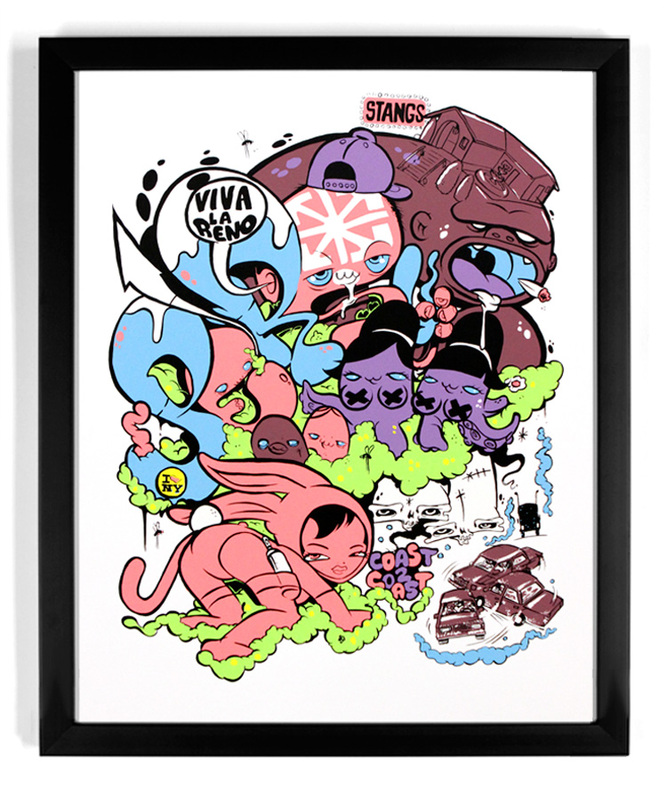 In 2001, the established graphic designer, illustrator and graffiti artist “Persue” created a character that combined two of the world’s most universally adored animals: bunnies and kitties. His beloved character BunnyKitty is an undeniably cute yet spunky kitten dressed in a magical bunny suit. 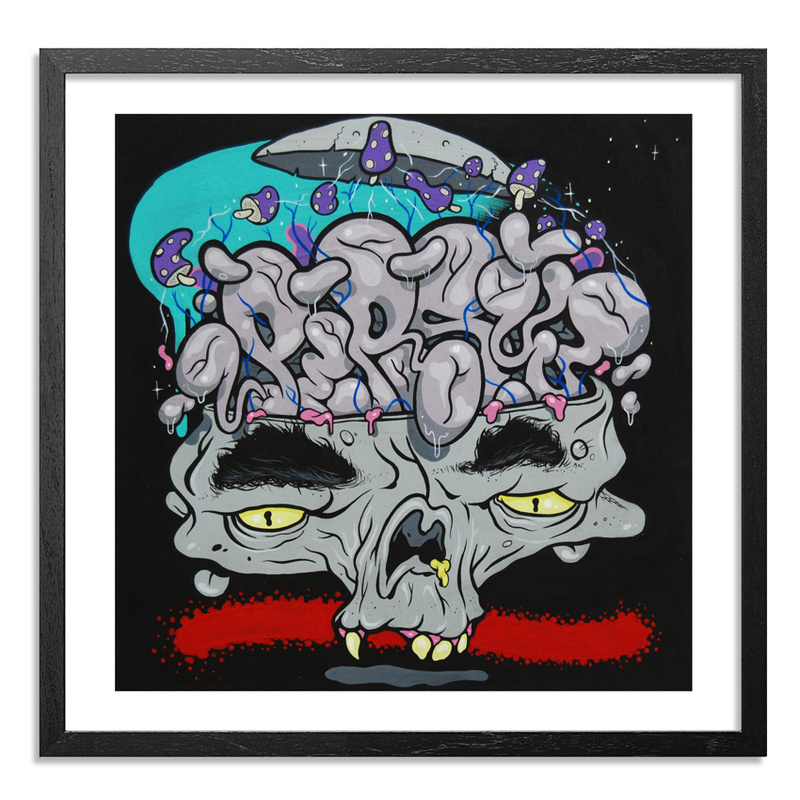 In an effort to put a positive spin on graffiti, which faced an onslaught of negative press in the 90’s and early 2000’s, Persue painted this character on walls the world over. 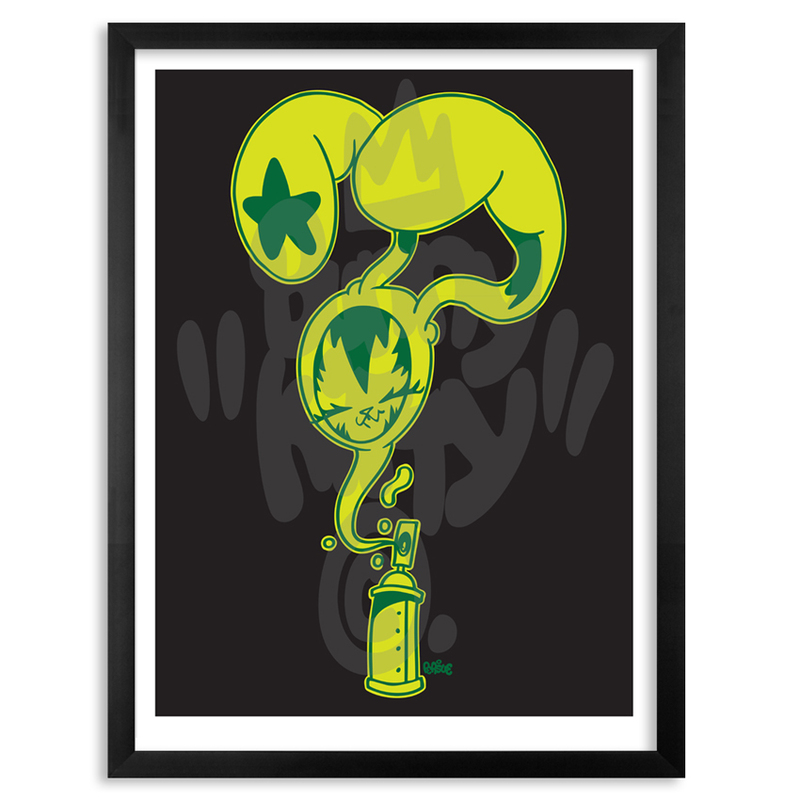 What started out as a fun side project to help make aerosol art more palatable to the general public, snowballed into something else entirely. 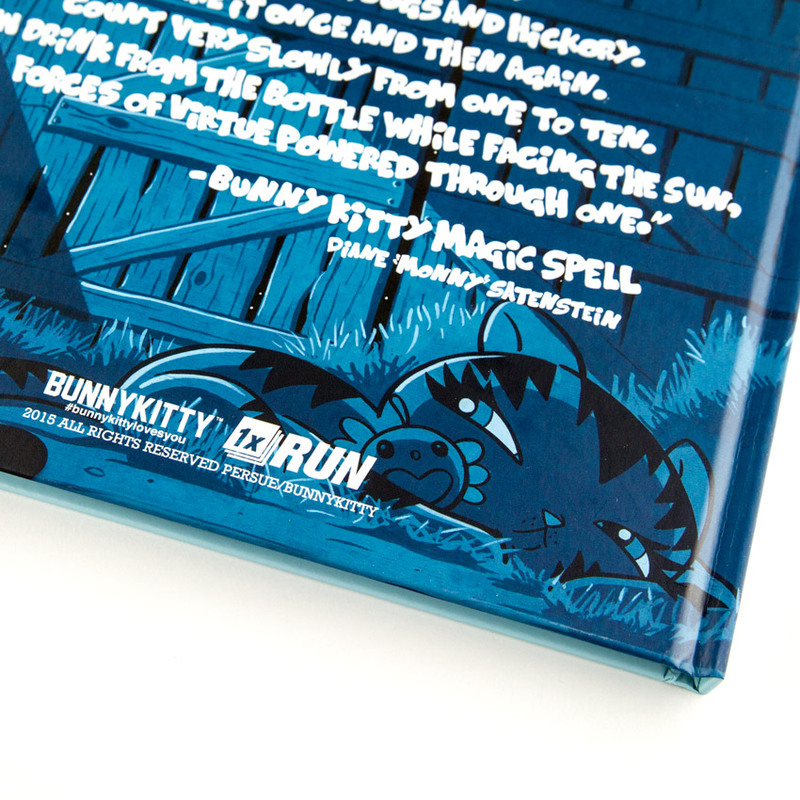 In 2006, Persue wrote the origins of BunnyKitty, a classic story of a hero with a heart of gold, a love for adventure, and a slightly darker mischievous side. From his imagination sprung to life an entire universe where BunnyKitty must be brave, rise to the occasion and push herself to her greatest potential. Persue’s mother also played a crucial role, editing the story and writing the magical spell that equips BunnyKitty with her powers. 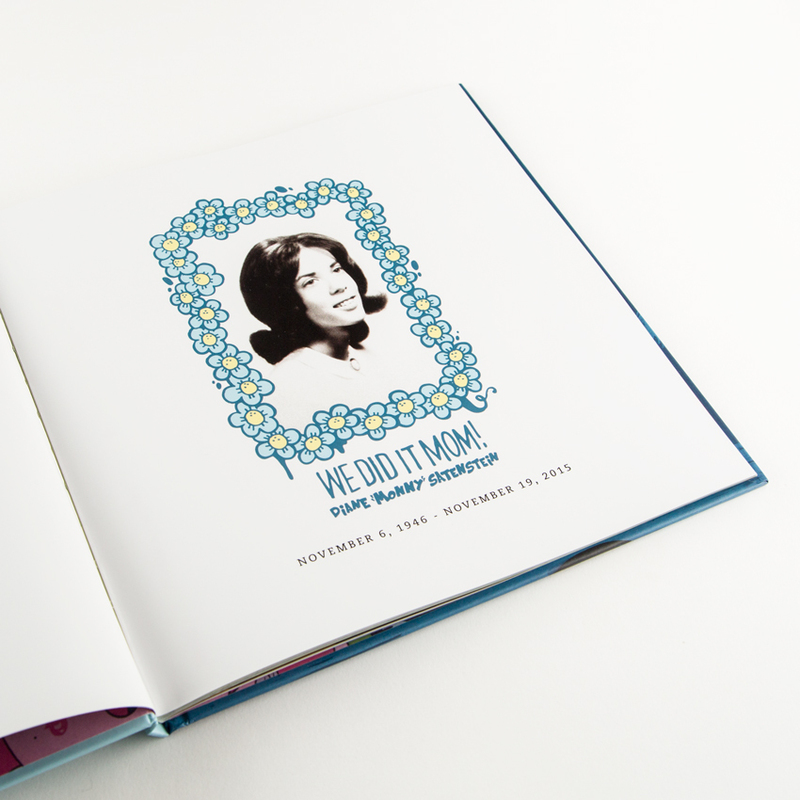 Sadly, shortly after The Origins of BunnyKitty was written, Persue’s mother was diagnosed with Alzheimer’s disease. This tragic news, along with other challenges he faced in his life at the time forced him to immediately put a halt to his dream of sharing the story they wrote together with his growing audience. 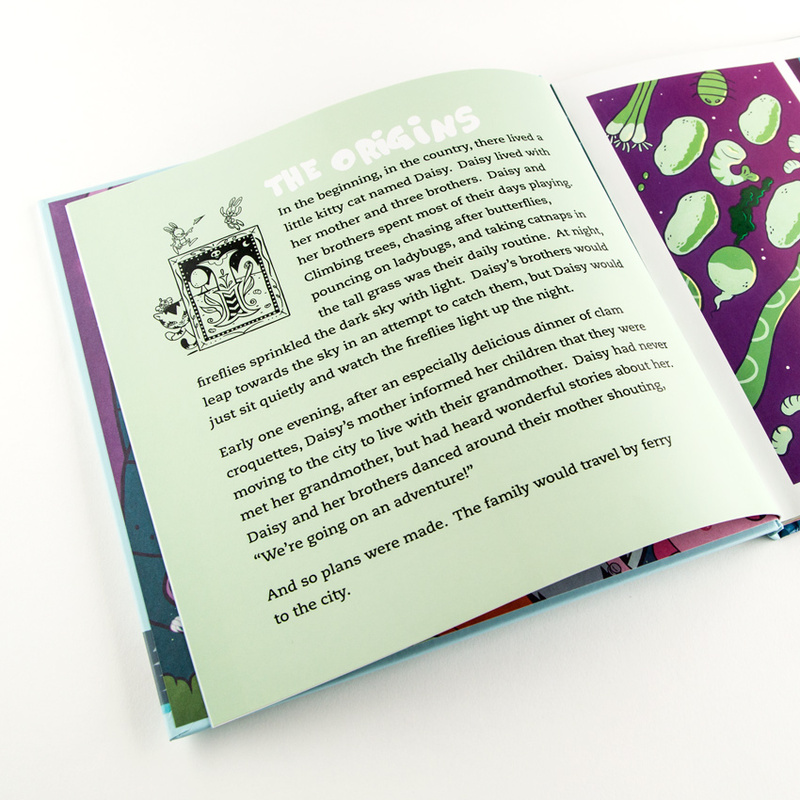 It wasn’t until 2012 that he revisited the idea of sharing BunnyKitty’s story. 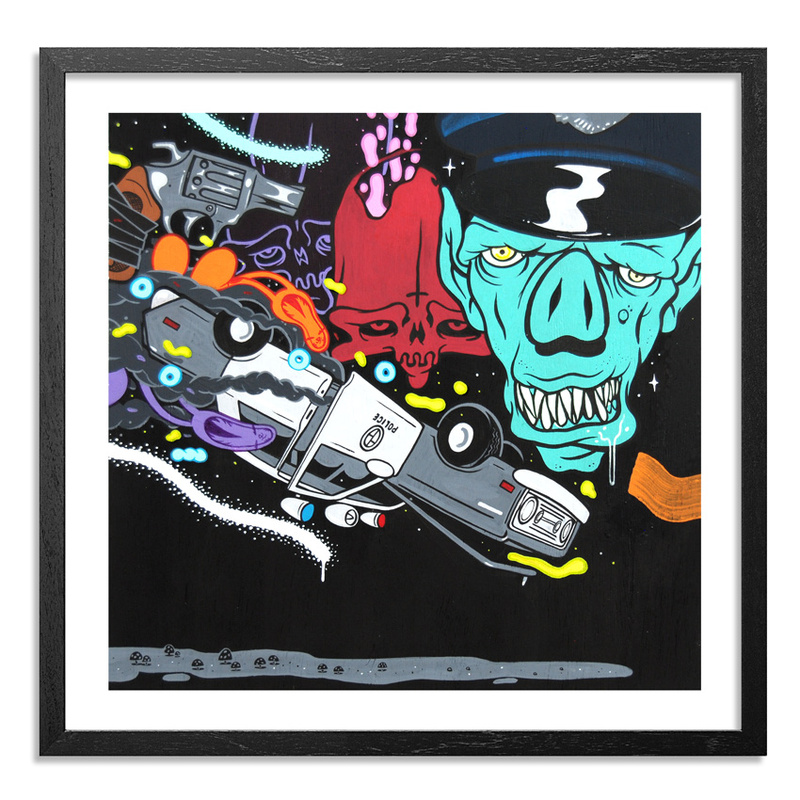 The timing ended up being perfect, as he moved to New York City to work on the illustrations for the book which is due to drop early in fall of 2015 with 1xRUN. BunnyKitty’s journey from the countryside to the Big City reflects his own, and after nearly 8 years of waiting, Persue is finally releasing this heartwarming story to his fans, and the world. Find more by Dave "Persue" Ross & BunnyKitty at davepersue.com & bunnykitty.com. Follow Persue / Bunnykitty on Instagram at @_bunnykitty_ - @persue1 - Facebook. Put It In The Ditch, Brah!